Two weeks in pubs this time, readers. Life gets in the way of blogging, but we catch up in the end. We begin two Wednesdays ago, on 29 June. We begin with lunch at the University Arms. Here and there I’ve set foot in posher pubs than the University Arms. But these have been fleeting visits on journeys through the Peak District, or the Home Counties. The University Arms is becoming an increasingly regular haunt for me, since I started working just over the road at the university. It’s not that cold, austere sort of posh that makes you uncomfortable. It’s a very nice pub. It just happens to be the least working-class pub that’s ever been my local. That night I’m playing with my band at the Red House. Usually when my band plays live, it’s with other bands who play similar stuff. The audience like similar stuff too. These are indiepop gigs (or popshows), and indiepop is a kind of music and a movement and culture that is pretty much self-sufficient. You wouldn’t call it hermetically sealed. But we have our own small but international infrastructure of non-profit record labels, gig promoters and media, and relatively little interest in sucking up to the mainstream music industry. So we’re quite a cosy little community. That’s exactly what it’s like tonight. Cosy. The Red House is perfect for these cosy gigs, because it’s quite possibly the cosiest small venue I’ve ever known. On Saturday afternoon I’m enjoying a quick pint in the garden of the Rutland Arms (featured here; pictured above) with family and friends. The Rutland is an excellent pub in many ways, and regular readers of this blog will know how much time I spend here. But perhaps the finest pub experience of the week comes that evening at the Harlequin. I’m having a drink with one of my best friends to celebrate the 10th anniversary of our first meeting. We opt for the Harlequin as somewhere a bit special, being slightly off our habitual course. We sit right at the front, in the light, with windows on two sides. As we settle, spangled with the amber early evening sun, a stranger at the next table sends me a kind, effortless smile. Unusually, I’m the only man in a busy corner of the pub. The prettiest girl I’ve seen in a good while is working the bar. Red hair, black dress, face of purest snow and kindness. We swig pints of cool pale ales and swap reminiscences about the past decade. It’s a couple of hours of pub perfection. You can’t plan these things. One of the pale ales may be a little stronger than it said on the pump clip, because something is making me very slightly weak at the knees. And so to week two. 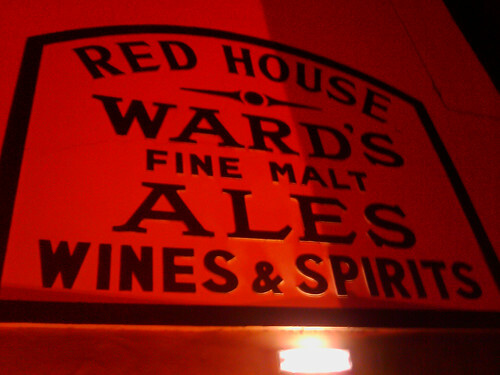 Histories of pubs and beer will tell you that the Industrial Revolution didn’t just usher in a century or two of British economic and military dominance across the world. It also made us the nation of drinkers that we apparently are today. Without reliable supplies of food and safe drinking water, beer became an essential source of calories and hydration for the factory and foundry men whose sweat fuelled Britain’s wealth. I begin to understand something of this on Tuesday. Removed from my desk to do some Proper Honest Graft for once – a day’s volunteering to improve a path on the National Cycle Network – I develop a thirst that could slay the Army of the Achaemenid Empire. Several colleagues and I resolve to later restore our energies at the pub. At half past four or so, perhaps a dozen of us troop wearily into our work local, slump into chairs, and set about our pints with maniac intensity. And so, for probably the first and the last time in its history, the University Arms provides refreshment for a group of manual labourers. Two more things strike me as noteworthy about this visit to the pub. One is that, after all that unaccustomed physical exertion, it takes me two pints just to become sober. All these years I’d thought of sobriety as the opposite of drunkenness. It isn’t. The opposite of drunkenness is manual labour. Sobriety is simply the mid-point between the two. The second is the music playing in the background, which alternates for about an hour between tracks by The Smiths and The Rolling Stones. This juxtaposition throws up some useful insights. I’d never really looked at it this way before, but aren’t ‘Let’s Spend The Night Together’ and ‘How Soon is Now?’ essentially about the same thing? This fortnight in pubs ends on Saturday afternoon, when a visit down the road to Ruskin Park reminds me of the three most terrifying words in the English language: family fun day. Happily, the Blake Hotel has been granted a licence to dispense real, actual fun into plastic pint glasses to be carried across the road to the park. But this week the best moments are all to do with music. On Wednesday evening I’m playing a solo gig in the delightful little upstairs room at the Rutland Arms. It’s a smashing night, made better still by some pints of IPA IV, a more-ish, quenching bevvy from the Sheffield Brewery. Then on Friday night I’m on stage again, but this time with my band. We’re back at the Red House but tonight it’s different. Rather than the usual cosy indiepop set-up, there’s my band, there’s a band playing groovy funk, and there are two experienced-looking duos playing sort of folky stuff. And my band savours the pleasant but very unusual sensation of being just about the youngest people in the venue. So while we’re out of our comfort zone, it’s far from uncomfortable. The punters may be even older than us, but they’re no less friendly and welcoming than the crowd we usually play to. The silver-haired men in waistcoats and the jaded but defiant 80s synthpop veterans who pay us compliments after our set are all wonderfully likeable. Maybe there’s something about the love of music that brings all this out – the love of music, when it’s felt with a clear heart again, once you’ve seen through the lies of the music industry, left it to its futile furies like a wasp in a flipped glass, and returned to hearing those pretty chords and cadences the way you did when you were 16. But (you know where this is going, don’t you?) there’s something about the pub that brings it out as well. Pop music has always depended on word of mouth to set its peculiar fire spreading. None of it would have happened at all without places like the Red House or the Cavern, if Birmingham NEC or the Royal Albert Hall had been the only options. It’s because of the small venues, the pubs, sociable by definition, that the flame ever took hold at all. What a little miracle that it’s still shining 50 years on. Like you I prefer to pay attention to other things around the beer, that all make the experience much more enjoyable. 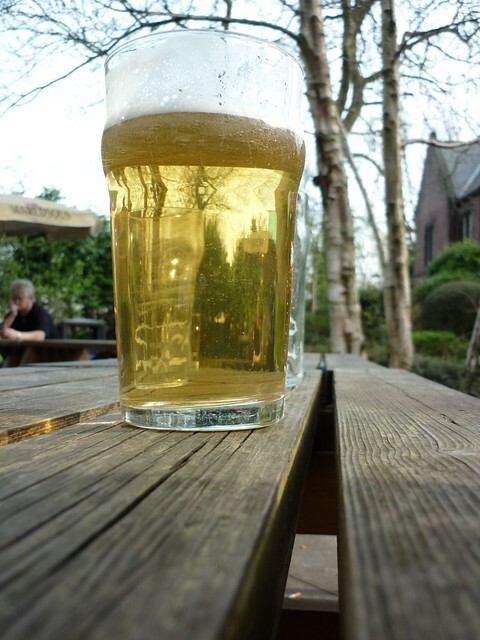 As with your comment on the background music, I had a think about the texture of the beer and the atmosphere of the pub. 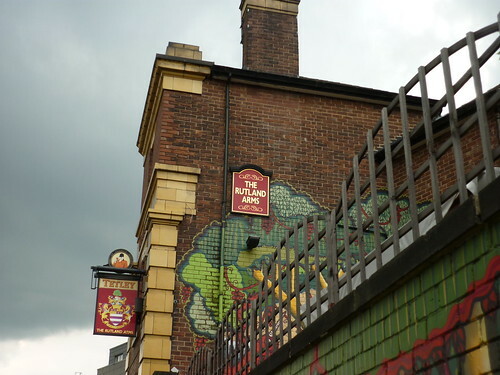 Is there such a thing as the “best pub”, or is it more personal to the individual as to what sort of atmosphere etc they experience?